Campaign Groups can be used to organize campaigns together, but the real benefit of them is to prioritize campaigns when multiple campaigns need to go out at the same time. 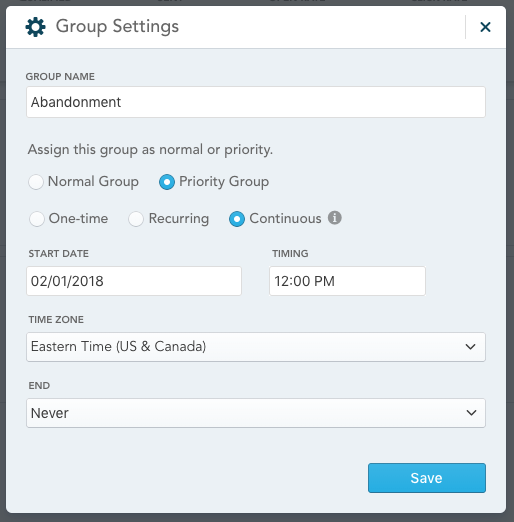 In order to enable prioritization, select the "Priority Group" option when creating a new campaign group. In the example above, all 3 campaigns in the group will send at the same time. Anyone who qualifies for Campaign #1 will receive it (anyone in the "Customer A" segment), anyone who qualifies for Campaign #2 will receive it unless they qualified for Campaign #1 and anyone who qualifies for Campaign #3 will receive it unless they qualified for either Campaign #1 or Campaign #2. To change the order of priority, hover over the tile for the campaign you want to move, and drag the campaign up or down using the drag icon on the left side of the tile. Please keep in mind that this priority is only in effect for each send. In other words, every time the campaign group sends, each customer can only receive one message. 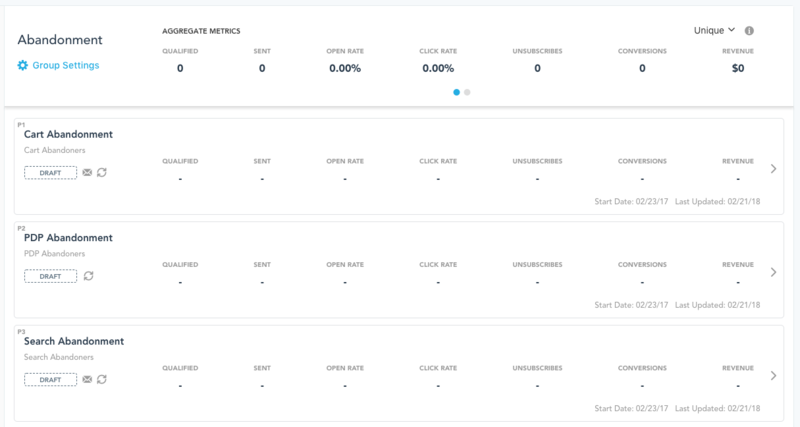 If you are running these campaigns on a recurring basis, you should consider using constraints to prevent someone from receiving too many messages in a short period of time. A good real-life use case for this would be grouping a browse abandon and a cart abandon campaign together so that someone doesn't receive both. Please note that campaigns cannot be moved into or out of a Campaign Group. Any campaign created within a Campaign Group will stay there and any campaign created outside a Campaign Group cannot be moved into one. You can, however, clone a campaign and place the clone in a Campaign Group.